Seriously. Right as I walked in the door coming back from Disneyland. And I was so proud of spending quality time with Theo that I stayed off of my phone basically the whole time. And then, as it turned out, it wasn’t quality time after all. Theo wanted to go on Small World but the wait was a bit long and he was being really antsy, so I said no. Then he wanted to go on the Jolly Trolley in ToonTown, except that the Jolly Trolley doesn’t actually move or go anywhere anymore, unfortunately. He got to play in ToonTown but didn’t get to ride any rides. So when we got home, Kevin asked him what he did at Disneyland, and he said, “Mommy said no rides. Got time out.” Way to make me look like the bad guy, kid! And for the record, he did NOT get a time out, he was just threatened with one when he wouldn’t get back in his stroller. But if you followed his logic, it was pretty much the worst trip to Disneyland ever. Whatever. That’s what you get with a 3-year-old. I figured I needed to throw a picture in there. 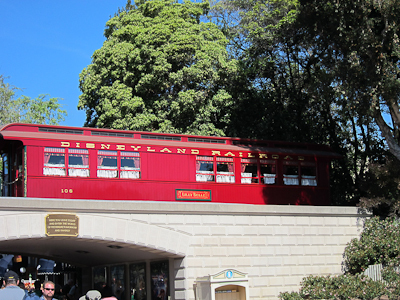 That’s the Lilly Belle, the private train car I didn’t even know existed until I started this blog. 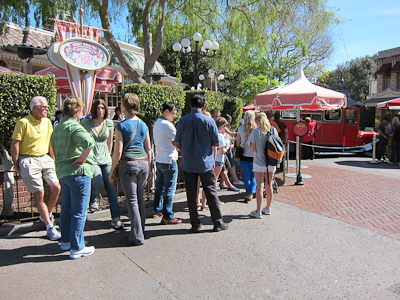 February and March are generally a good time to come to Disneyland. The crowds are low, except on holidays like President’s Day. 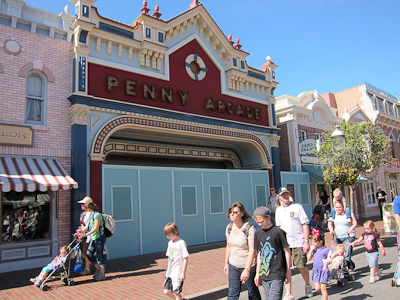 However, the drawback is that you can run into a lot of things down for refurbishment. With a giant tarp too, talk about shut down with extreme prejudice! 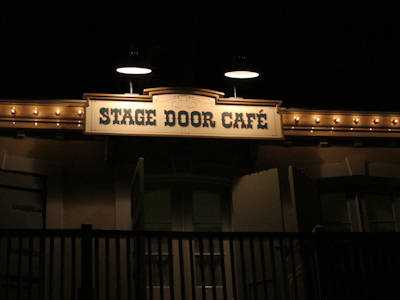 The Carnation Cafe and the Gibson Girl Ice Cream Parlor are also shut down. They both will be returning, but the Blue Ribbon Bakery will not. Let us hold a moment of silence for the Blue Ribbon Bakery. Feeling better now? Yeah, me neither. Really, I don’t. 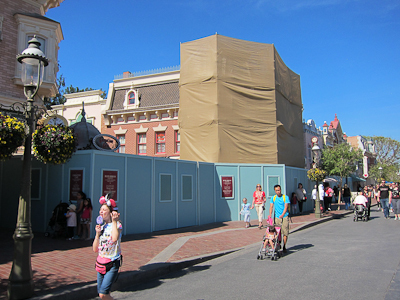 I don’t think it’s part of the Carnation Cafe expansion, but I suppose we’ll know soon enough. 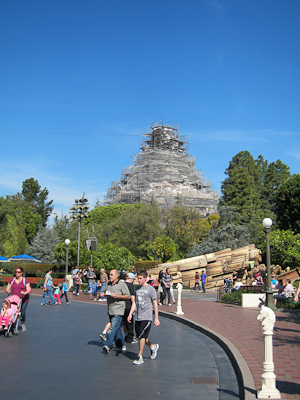 Probably the biggest refurb going on at Disneyland right now is the Matterhorn. Does the real Matterhorn have scaffolding? 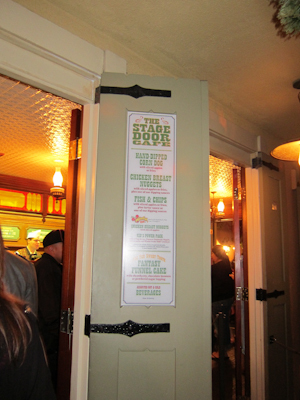 This is a major refurb, with everything from re-doing the exterior to replacing the bobsled cars. Yes, I said replacing the bobsled cars. Back in the old Matterhorn you sat in your bobsled car with another people sitting between your legs. I mean, it was awesome for Date Night and all, but a bit awkward with your friends. The new sleds have individual seating for 3 with two sleds per vehicle. This should increase the ride capacity (yay!) which means quicker lines (yay! ), but less opportunity for groping. I believe they are also fixing the track to be less jerky and bumpy (a welcome improvement) as well as the abominable snowman (or snowmen, as the case may be). What’s not changing is the fact that the two sides are slightly different, with the Fantasyland side being better than the Tomorrowland side. Insider tip there. If you go when it’s actually open. 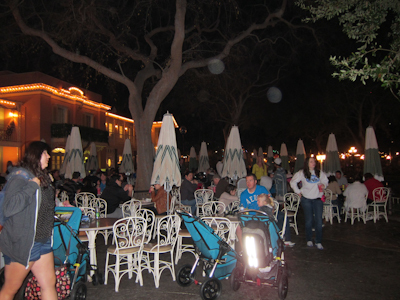 Anyway, other than the refurbs, I also wanted to point out one of my favorite eating establishments in the park. 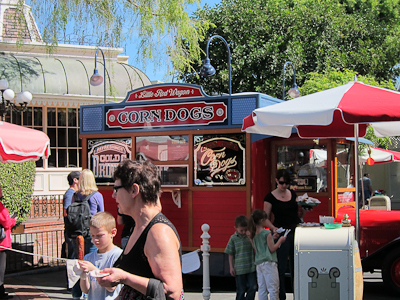 Yes, I consider a red cart to be an "eating establishment"
I also think the Corn Dog Cart is one of the best values for your money at Disneyland. 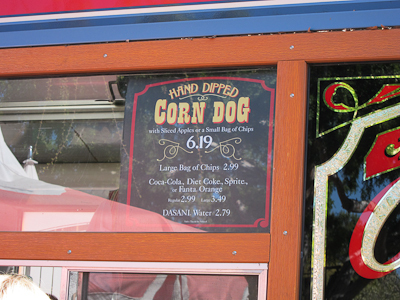 Corn dog and chips? Pretty good! 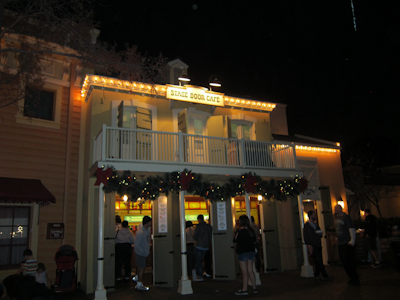 If you don’t feel like waiting for the cart, however, you can get the exact same dogs over at the Stage Door Cafe which is usually faster and less crowded. And that rounds up our miscellaneous pictures for the day!